Whisking you away to your very own tropical paradise, the Bamboo Door Curtain introduces a new take on beaded curtains with serious statement style! 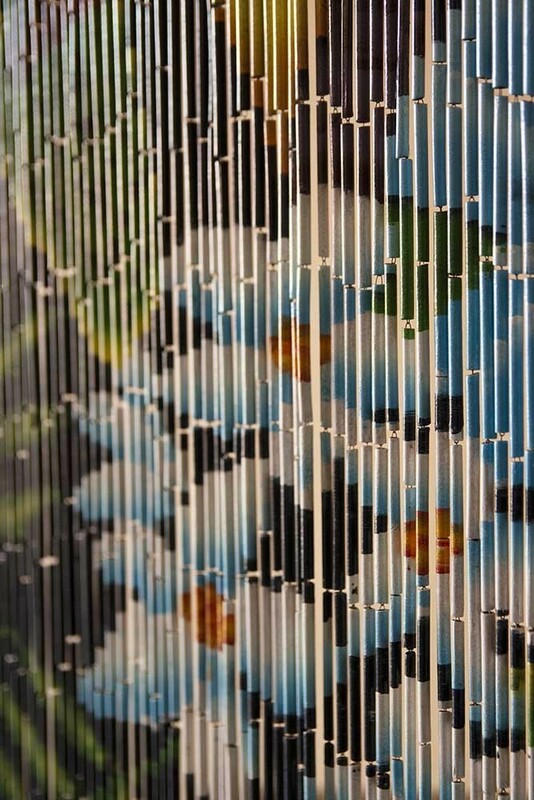 Handmade in Vietnam and painted by hand, the Bamboo Door Curtain measures height 200cm x width 90cm, with 120 strings making up each curtain. Perfect for adding quirky pattern to your home, the Tropical Design Bamboo curtain is part of a collection of three with the abstract Black & White design and vibrant Birds & Flowers curtain also available. As firm believers that everything in your home should be beautiful, even the doors, the Bamboo Curtain is a fabulous addition to any space! Promising to bring your decor to life with pattern, colour and character, the Bamboo Door Curtain is perfect for any lover of the timeless tropical trend. 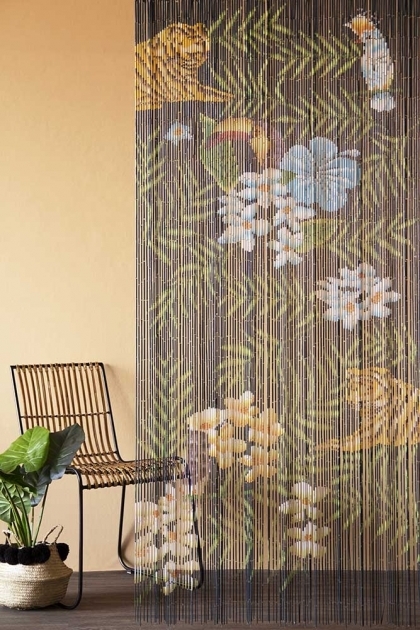 Pairing hints of nostalgic ‘70s style with beautiful bamboo and a luxe tropical design, the Bamboo Door Curtain features toucans and tigers surrounded by exotic flowers and plenty of leafy foliage from the forest. 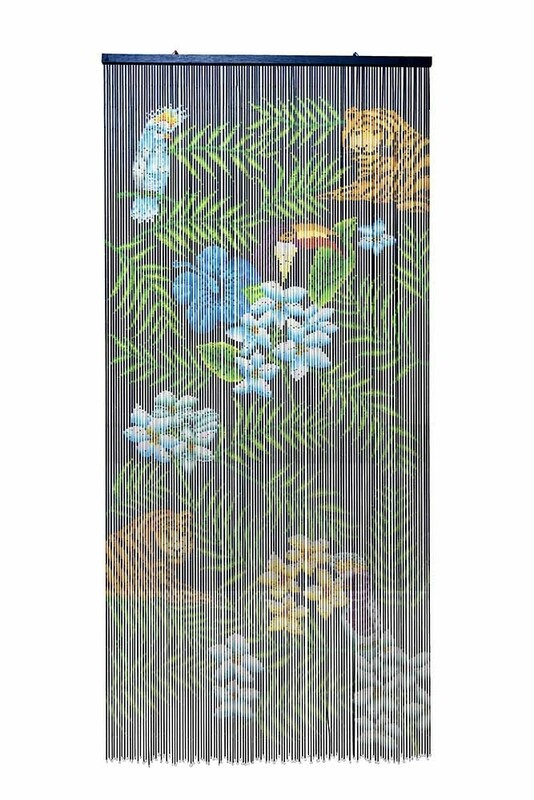 Introducing playful pattern and a dose of drama to your home, the Tropical Door Curtain ensures your doorways are anything but boring! 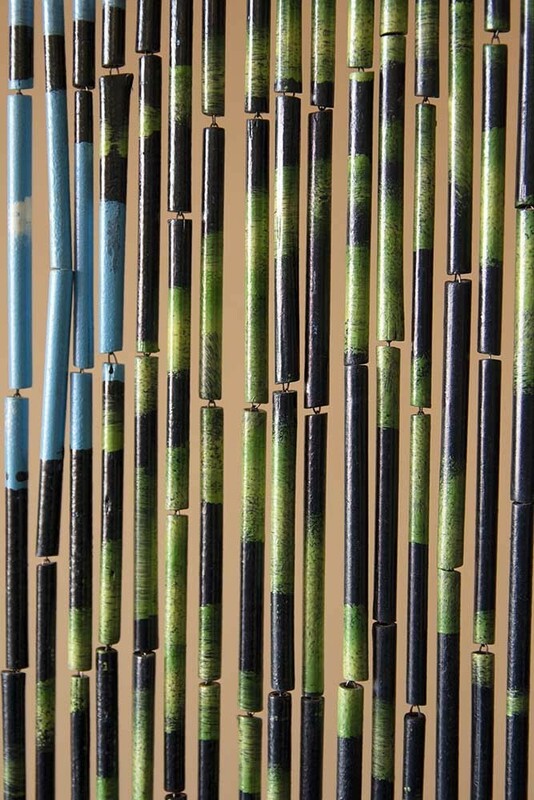 Not just designed for the door, the Bamboo Curtain is great for creating zones in your home and can even be displayed against the wall for an vibrant piece of art that will wow your guests as soon as they enter the room.